If you’d like to get in touch, please use the form below or send a message to info@motivationgrid.com. 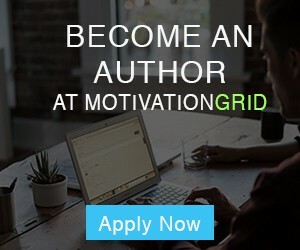 If you want to advertise on MotivationGrid, please don’t forget to read this first. If you want to submit a guest post, please read our submission guidelines. We look forward to hearing from you! Just wanted to say thanks for putting this together, this site along with your videos thus far kind of pushed me to be much more of a better person in regards of searching for goals and setting higher standards as well as treating others much better. I have you all on Facebook and look forward to seeing updates quotes etc. Thank you so much. Thank you for the kind words Daryl! Well, right now everything you see with the brand MotivationGrid is done by me – Cris. Your comment means a lot to me and I hope that I’ve managed to do the same thing for others as well! Outstanding videos Cris. We blast these videos on the way to the gym, before meetings, before any potential “no I can’ts” even have time to set in. We play your videos until our phone data runs out and we buy more! Great work and we speead the word about Motivation Grid as much as we can on all platforms and socially. That you for the kind words, glad you appreciate my work!